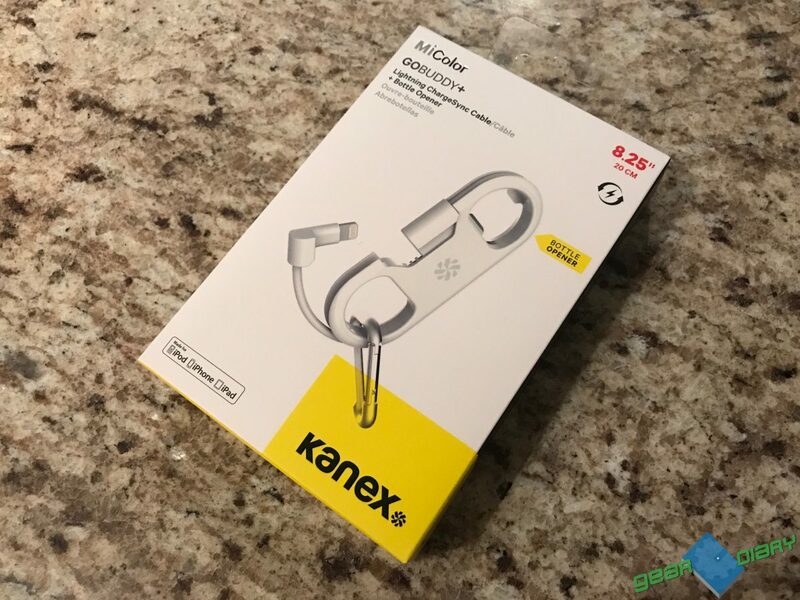 Kanex makes some awesome accessories, from portable battery chargers down to power cables, however, the Kanex GoBuddy+ is a super portable all-in-one accessory that Apple product users will love attaching to their bag or keys. Essentially a portable Apple lightning charge and sync cable, the GoBuddy+ is truly your right-hand man for lack of better words. 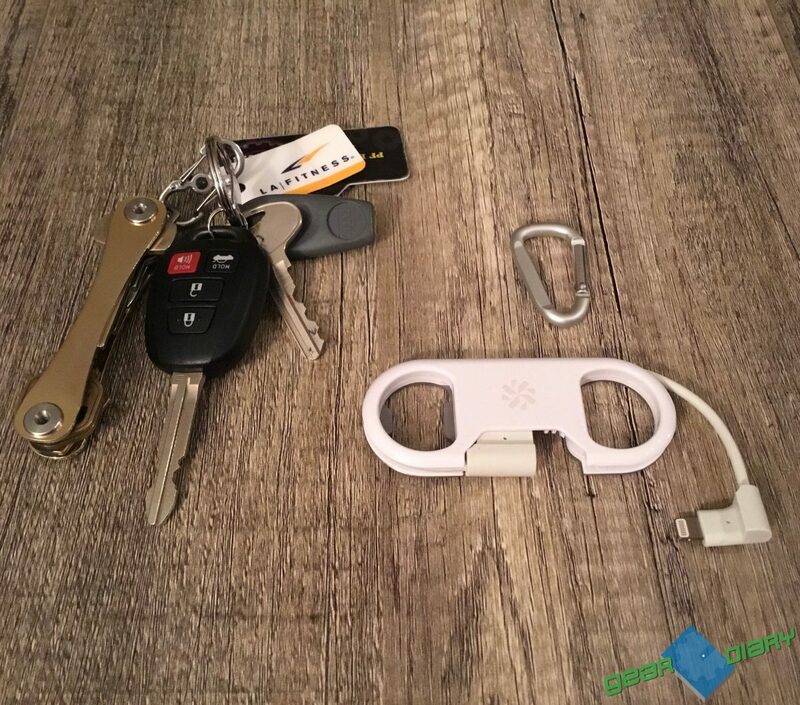 Included with a carabiner, the GoBuddy+ also comes complete with a bottle opener so you can easily open up your favorite beverage while on the go. If you’re in a pinch and without a cable, the GoBuddy+ is there for you. There have been way too many times I’ve been on the hunt for a Lightning cable while out and about and wished that I had a small cable to charge up when at a bar or sporting event. With the GoBuddy+, I can actually attach it to my bag so when I’m headed to happy hour and need a quick charge, I can grab the GoBuddy+ and a power brick and find the nearest outlet to charge. The premise is simple with the GoBuddy+. Connecting to the accessory just takes a simple detachment from the top and plugging in. It’s not the longest cable in the world, but it’s perfect in those “what if” scenarios such as riding in the car with a friend and forgetting your cable, or if a friend decides they have a Bud Light they need opened quickly. 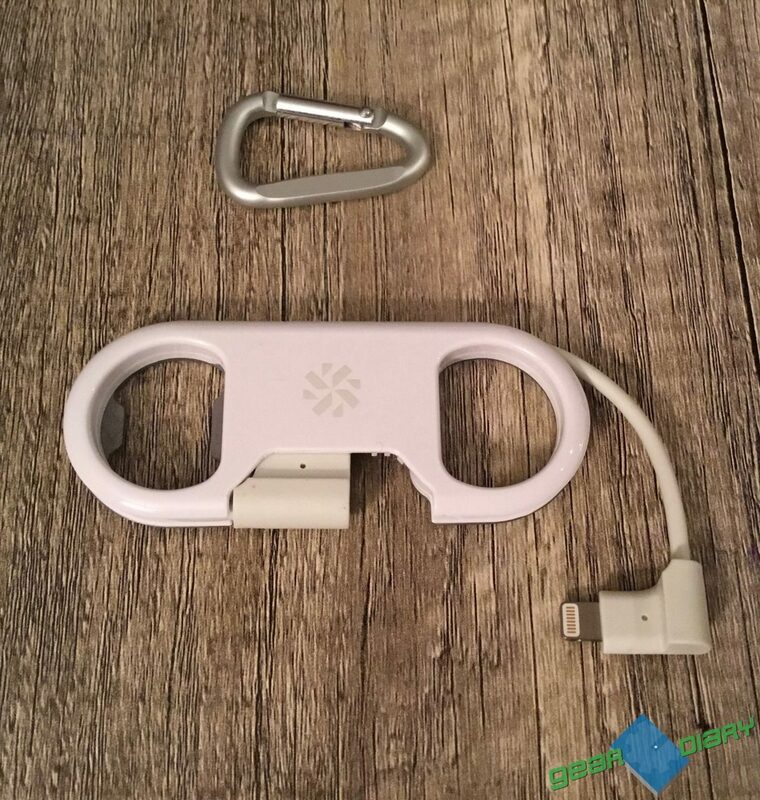 There’s even a carabiner that allows you to attach this to your backpack or purse. The carabiner itself isn’t the sturdiest, and I’d probably swap it out with another, however, it’s nice that it did come included. The GoBuddy+ is completely a novelty item but a practical one that serves one use: The availability of a lightning cable regardless of where you are. Oh, and the ability to impress a friend by opening up their drink at the same time. While I would’ve preferred it in black, the white colorway I received is just as fine. Kanex actually offers six colors in green, blue, purple, pink, white and the black that would’ve matched (majority) of my bags. I am concerned about how the lightning cable will hold up over time though since it seems to be a bit flimsy, but outside of that it’s served its purpose as I was able to not only charge on the fly, but it even worked syncing my iPhone to iTunes which not even some of the lengthier brand name cables can do. I guess that’s what happens when you use a truly MFi-Certified Lightning cable right? Available at Kanex’s website for $24.95, if you search online I’ve seen prices ranging from $9.99 to $14.95 if you catch the right deal. For more information on the Kanex GoBuddy+, you can head here today.